Backlinks are the essence of the site's rankings on the search engines along with relevancy. We as search engine optimizers know the value of backlinks and the importance it holds for getting lots of organic traffic via search engines. Many webmasters, link builders, search engine optimizers spend a lot of their vital time finding convertible link building opportunities. The task of finding good link prospects can be made easier by using Ontolo. 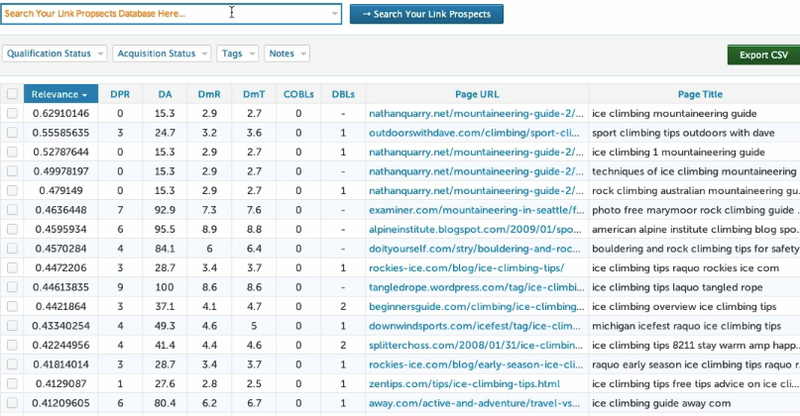 Here is a screenshot of how Ontolo enables you to find superior link prospects and allows it to save as a csv file. 1- Search relevant websites where you can get a backlink. 2- Filter the links based on Domain Authority, Moz Rank, Page Rank etc. 3- Save your searching data only once and the tool helps in searching new data every day. 4- New link building prospects are found based on the needs of your campaign. 5- Get notifications of new link opportunities on your email etc.